Our Pure Hydration range has been specially formulated with cotton milk to leave skin feeling nourished and moisturised for up to 12 hours. 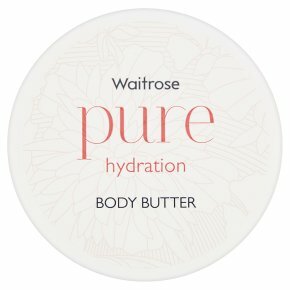 A rich and creamy body butter made with shea butter, almond, coconut oils and vitamin E to pamper and hydrate dry and sensitive skin. Leaves skin feeling soft and smooth. Dermatologically approved. Suitable for vegans and vegetarians. Paraben free. Suitable for sensitive skin. Avoid direct contact with eyes, if product does enter eyes, rinse well with warm water.